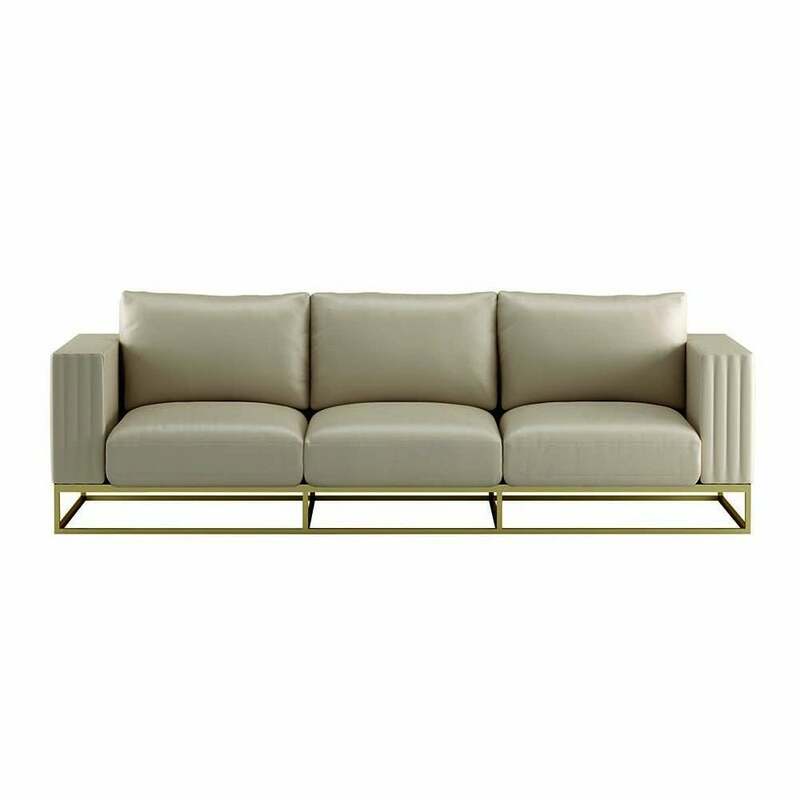 Sophisticated and refined design are found in the Martin sofa from the Daytona range by Signorini & Coco. The chic design of the Martin Sofa takes style cues from this glamorous 1920s era. Statement modernity meets classic style, the linear shape formed from a contemporary burnished brass base. The art deco inspired shape is complemented by luxury leather padded cushions filled with a soft goose down for maximum comfort. The sofa is available in a number of finishes to complement your living space including fabric, leather or nubuck leather in a variety of colours.